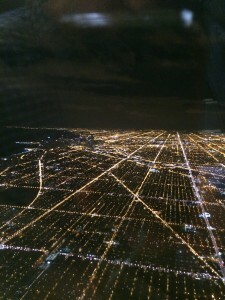 The spaces and places of Chicago, as we descended on Monday night. I have just returned from the Annual Meeting of the American Association of Geographers in Chicago. I’m obviously not a geographer, but I got an opportunity to talk about my work on the print culture of geographical knowledge in the nineteenth century at the conference, and I got excited about the possibility of talking about that work to a group of non-historians who would nevertheless be interested in it. It ended up being a great experience, but also a really odd one, because attending the main annual conference of a discipline that is not your own is an odd kind of outsiderism. I did not feel particularly out of place intellectually. I know something about the scholarly practice of geography; I know something about how the discipline developed in the nineteenth century, and I know something of its parameters from interacting socially and professionally with practicing geographers. Also, geography really sprawls as a discipline, and seems to find a place for pretty much any topic or any methodology. The sense of outsiderism was social, not in the sense that people were rude or unfriendly, but in the sense that I was walking into an ongoing conversation in the middle and had to struggle to figure out what people were talking about and why they cared. I know this isn’t a particularly original observation, but attending the AAG really drove home to me the extent to which scholarship is both socially enabled and socially constrained. I don’t mean that it’s collaborative, in the sense that a lot of natural science research is collaborative, in that it is very literally a team effort. Much humanities and social science research isn’t collaborative in that it is largely the product of solitary (lonely?) research-authors, but it still only exists in relationship to an ongoing set of disciplinary conversations that are profoundly social. 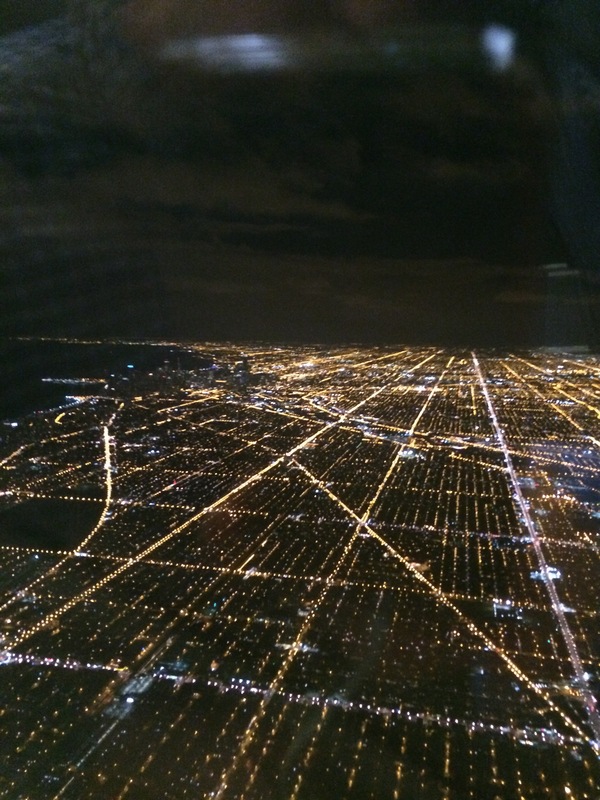 It’s striking that in the age of the internet a conference like the AAG can attract more than 6,000 attendees from dozens of countries, willing to spend considerable time and money to travel to Chicago to meet each other face to face. That sociability is the very stuff that a discipline is made of.